Prior to competing in the 2007 and 2008 Future City Competitions, Jenna Hebert described herself as a typical student. She enjoyed her classes, got good grades, and when it came to STEM, she never thought of it as more than the basic “creating mitosis models for class.” It wasn’t until after her teachers encouraged her to apply for Future City that she saw science as the field that could be for her. By the end of 8th grade, Jenna had become so engaged in research and staying updated on the latest discoveries that she did not want her involvement in the field to end. She eventually found herself drawn primarily to Biology and Neuroscience. Participating in Future City significantly elevated Jenna’s confidence in her STEM skills. Though extremely shy at the time, she was chosen as one of the presenters for her team and even surprised herself by how much she enjoyed being on stage. This realization is part of the reason Jenna encourages students who might be hesitant to join Future City to dive right in. 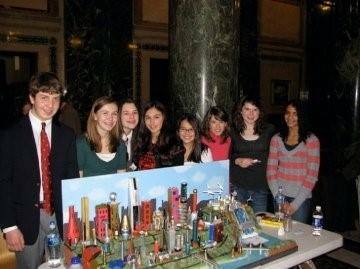 To anyone on the fence about Future City, Jenna says “The science you get in the classroom is just so limited compared to what engineering really is.” While working with her team on the 2007 theme incorporating fuel cell systems to power future cities, she was able to see how the basics of what she learned could be applied to something groundbreaking. It was this passion for learning and discovery that helped Jenna and her team with the Pittsburgh Regionals and make it to Nationals both years they competed.